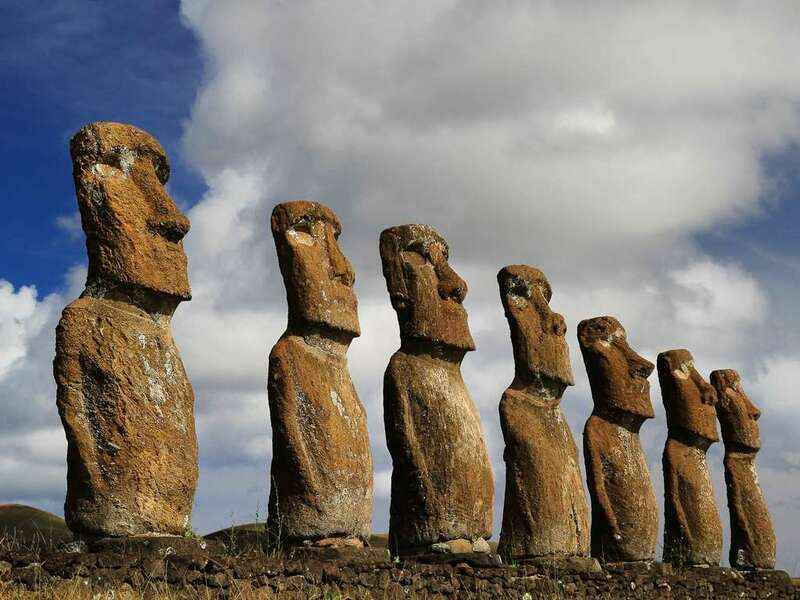 Join us on an unforgettable 2 hour experience through the storied history of the infamous Moai of Easter Island. 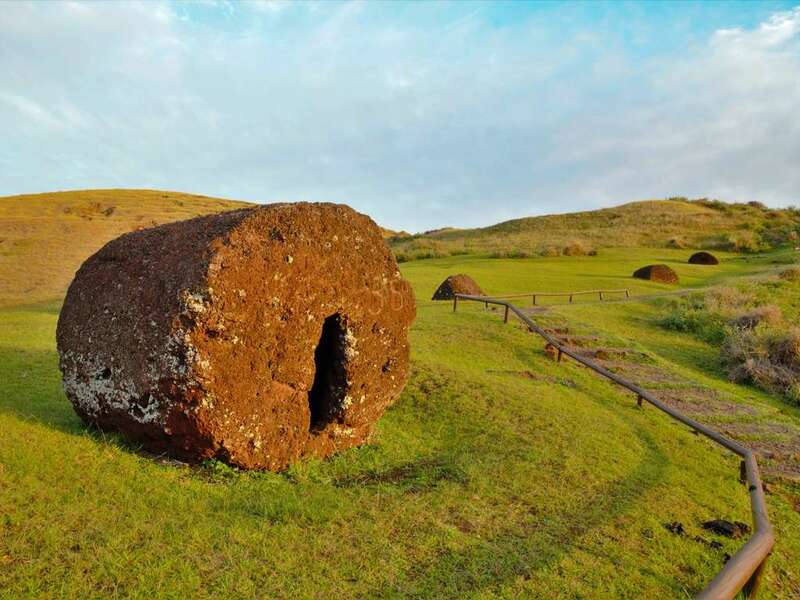 The ability of the ancestral Rapa Nui people to create and transport such advanced, magnificent works of stone remains a mystery to this day. 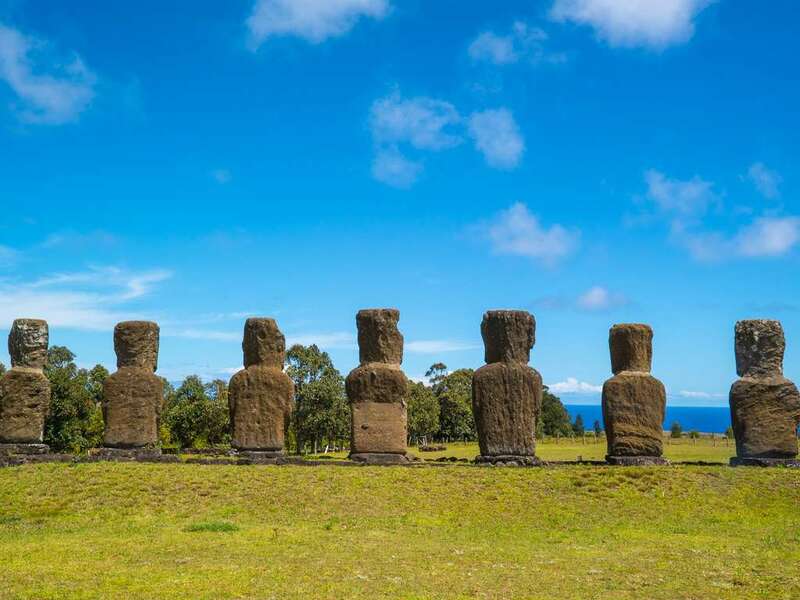 Although many were lost or destroyed over time, the restoration work of top modern archeologists has helped to reinstate these monolithic stone structures to their former glory. 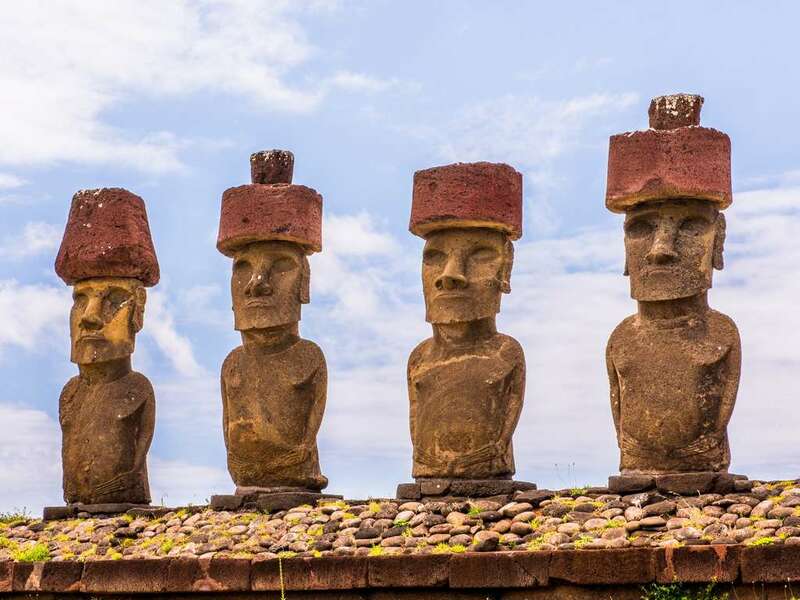 On our first stop on this restoration project lies in Ahu Akivi, where we will see the seven Moai statues representing the Seven Explorers of Easter Island. Legend states that that the King of Hiva sent seven explorers in search of an island for his people to settle, where they now stand, waiting for their King. 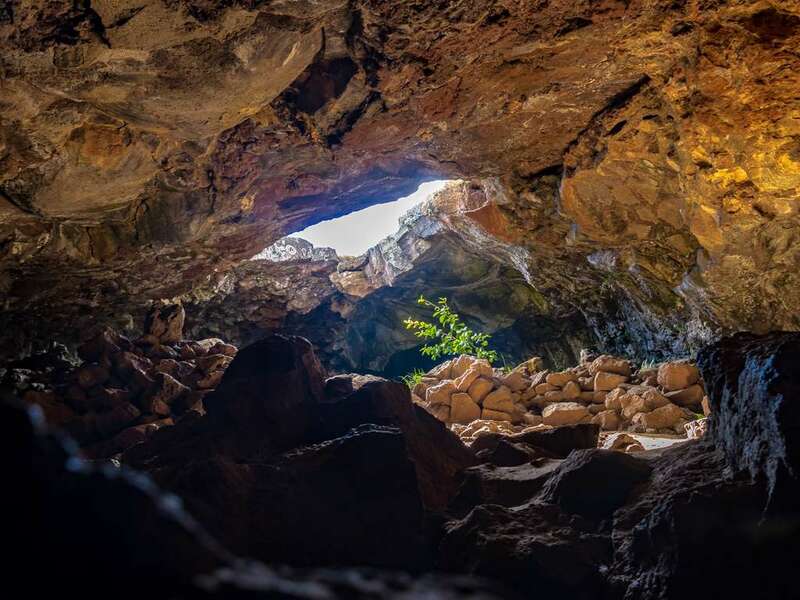 From Ahu Akivi, we will journey into the heart of the ancient volcanic eruptions that gave birth to the island thousands of years ago, and explore the caves created by the perpetual lava flows. Ancient inhabitants were able to find many uses for this cave, not only as a dwelling, but as a reservoir for fresh water and natural nursery for food crops. 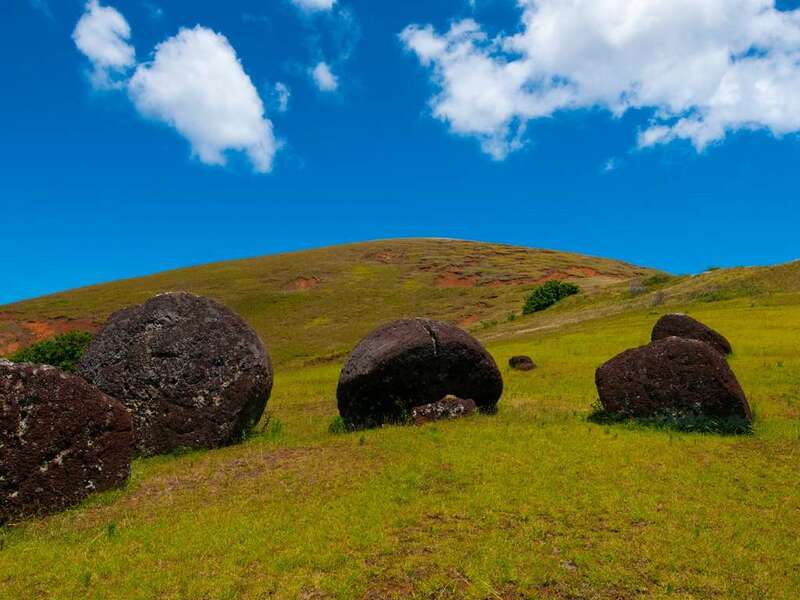 Finally, we make our way to Puna Pau, an ancient quarry where the Rapa Nui would excavate giant red stones to place upon the head of certain Moai of great significance.